50 lb bag To change the quantity of a delivered price item, add it to the cart first and then update the quantity on the next screen. Potassium sulfate is commonly used to supply plant available potassium to the soil when the already current potassium in the soil is currently bound by other elements and is not currently available for plants to use. Potassium has been linked with many important plant processes and any deficiency in this nutrient will dramatically hurt the plants ability to grow properly. 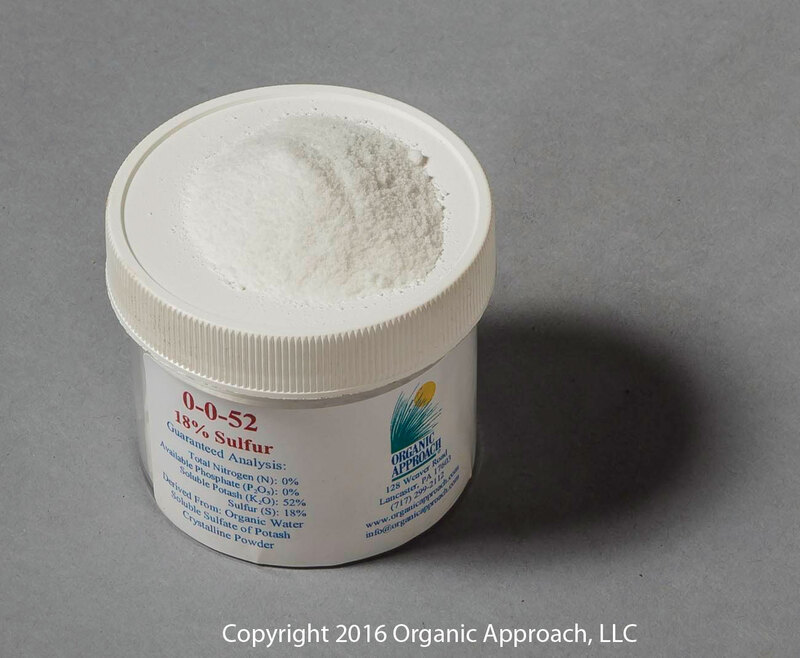 Potassium sulfate powder is 100% water soluble and should be mixed with warm water to dissolve the product faster. Hot water will increase the solubility of this product, and decrease the mixing time required to dissolve the product.